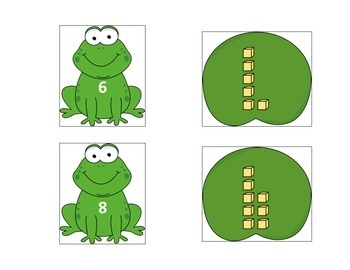 This math center game allows students to practice matching numbers to their base 10 block representations. This product contains one, two and three digit numbers. This can be used when introducing the concept as well as throughout the year as review! This is a perfect center for both first & second graders, or struggling third graders. 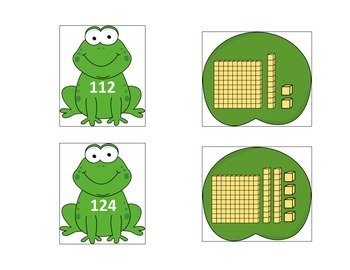 Students will match the number on the frog to the base 10 representation on the lily pad. 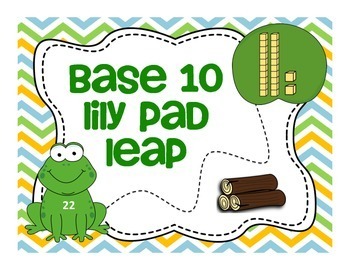 Thirty pairs of cards and a recording sheet are included. Ten spaces are included on the recording sheet. 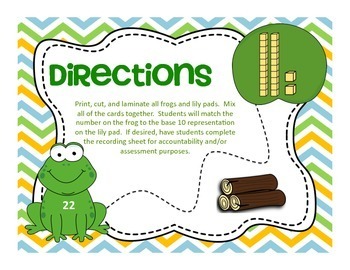 Copy front to back to allow students to record up to 20 pairs of numbers!